The popularity of the beautiful koi fish ponds continues to grow. There is little doubt that you have seen a few as you pass through your life. The beauty of the koi is unmistakable. The variety of colors and scale designs are remarkable. You may have entertained the thought of building your own koi pond in your back yard. It is not a task for the weak at heart or back. Careful planning will save many sad hours that are the result of carelessness or the lack of knowledge. Choose the right place to put your pond. You cannot have it in an area that gets no sun. The plants in the pond need the sun to grow. The lack of sun combined with the presence of a large number of twigs and leaves that may fall into the pond make up a recipe of disappointment. What is worse is renting the heavy equipment to dig your four or five-foot hole only to find you have cut through water lines, gas lines, phone lines or electric lines. It is also important to think about the maintenance that you will have to do to keep your pond healthy. You should situate the equipment in an area that is easy to reach. Proper planning is a must. You must read the directions and follow them to the letter. You should explore ponds and see what characteristics that you favor. Ask many questions about what equipment is in their setup. Visit breeders and see what fish are available. Find out as much as you can before you begin the project. Is it the pond idea that enthralls you, or the koi pond? If it is koi fish ponds that are your goal, be prepared to work hard and spend a lot of money. The greatest help is the information you obtain before you begin. If you do not believe you can do it, many companies will do it for you. Their expertise may be a distinct advantage. There are ponds that are built of concrete. While leveling is important in any koi fish ponds, concrete makes it more important. Uneven koi fish ponds constructed of concrete can leak and cause a lot of extra work. The majority of novice koi pond builders opt to use the rubber linings. It will allow the hobbyist to be more creative with the shape of the pond. Again, it must be level and it must be secure. As you plan your pond, plan to build it about six inches above ground. This will help keep some predators out and keep your fish in your pond. They will try to escape at times. It will also give you the opportunity to decorate the area above ground for added interest. Koi fishponds require maintenance. 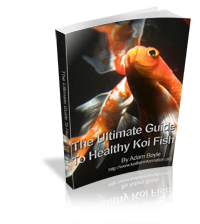 You must be sure that you have the correct pump and filters in your koi fish ponds. The proper pump will be strong enough to pump all of the water in the pond every two hours. this will allow you to have a cleaner, more attractive pond and keep the water healthier and aerated. You will also need a filter. There is a selection of koi fish pond filters from which to choose. When you have determined the size of the pond and the volume of water, as well as the number of fish, you will be equipped to choose the right pump and filter. Additional water features add interest to the koi fish ponds as well as increased aeration. Consider those when you shop for your pump and filter. Smaller waterfalls or fountains will not require too much more than the pond itself. They add aesthetic value. As you sit close to your pond you can enjoy the relaxing sound of the water feature you have installed. Electricity and water can be a dangerous combination. Koi fish ponds use water and electricity. If you are unsure of your knowledge, hire someone to install the pump and the filter for you to keep it safe. If you have small children or pets that like to swim, build those thought into the koi fish ponds plans. 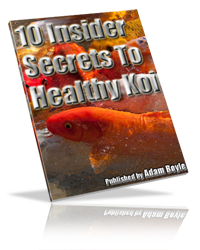 Taking a thorough trip on the internet will give you a lot of the information regarding koi fish ponds. Don’t rely on them completely. Talk to an expert or two. Visit your pet store to see if they can check your water weekly or if you have to have a home kit to test it yourself.